This winter camp is open to all levels from beginners with no prior experience to tournament players. 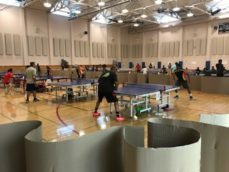 Fremont Table Tennis Academy believes in giving personal attention to each student. Fremont TTA students often win first place locally and average one medal won per participating student in national tournaments.